We used to think the only way to slow down the aging process on our skin was to apply products to it. Today, we know better. The skin is our body’s largest organ, and thrives off the nutrients in our blood, much as the heart and lungs do. Unfortunately, sometimes our busy lifestyles cause us to shortchange ourselves when it comes to healthy food, and that, in turn, robs the skin of the nutrients it needs to stay young and healthy. Whatever your schedule may be, you can make choices today that will help your skin to delay the appearance of aging in the years to come. Make your snacks work for you. 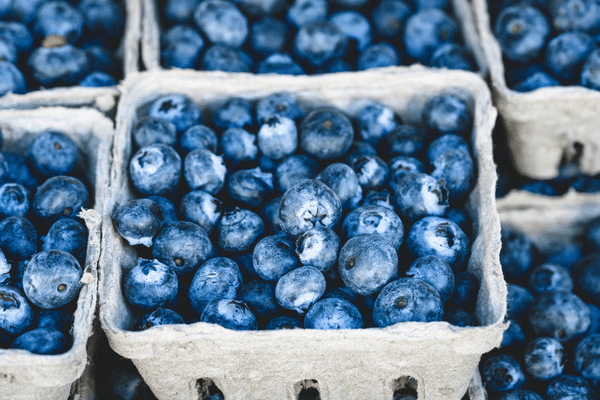 Rather than increase collagen damage with a sugary treat, or spike inflammation with fast food, try these quick-and-easy snacks that pack a powerful anti-aging punch. In 2008, researchers published a study showing that subjects who consumed lycopene-rich tomato paste had 33 percent more protection against sunburn, compared to the control group. The good news was that the participants weren’t gulping down tomato paste—the servings were similar to what you would eat if you were consuming standard tomato-based meals. Other research has also indicated that lycopene can help reduce damage to DNA in the skin, which would help battle the signs of aging. Eating sun dried tomatoes are one of the best ways to get lycopene, though any tomato-based source will contain this nutrient. If you’re craving chips, pair them with an avocado dip to enjoy the skin benefits. Avocados are rich in healthy monounsaturated fats, which are crucial to skin’s moisture and hydration. These fats help skin retain its glowing and plump appearance even as you age. They’re also a great source of antioxidants lutein, zeaxanthin, and vitamin E.
Even more exciting, however, was research that revealed that avocado is a “superfood” when it comes to battling harmful free radicals. A 2012 study, for instance, reported that avocado oil directly combated free radicals that were destructive and unstable. These free radicals come from exposure to pollution, cigarette smoke, and radiation, and are the enemies that assault our skin every day, tearing it down and leading to the appearance of fine lines and wrinkles. This study found that the antioxidants in avocado helped cells to survive a free radical assault, and an earlier study indicated that adding avocadoes to your salad could increase absorption of other antioxidants found in the vegetables, including beta-carotene. Tuna is rich in omega-3 fatty acids, A 2001 study, for instance, researchers examined the dietary habits and skin condition of over 400 participants. They found that higher intake of essential fatty acids was associated with less skin wrinkling. A later 2007 study found similar results, with a higher intake being associated with a lower incidence of dry skin and skin thinning. Could there be better news than that chocolate is anti-aging? We even have some tests showing it to be particularly beneficial to skin. In 2015, for example, researchers reported that it could actually improve wrinkles and elasticity. Participants consumed either a placebo beverage or a cocoa beverage that contained 320 mg total cocoa flavanols. Scientists measured wrinkles, skin elasticity, and hydration at 12 and 24 weeks. At the end of the study, those who consumed the real cocoa beverage showed improvements in elasticity—which is the “bounce back” element in skin—as well as fewer fine lines and wrinkles. Earlier studies also showed this yummy treat as having mild sun-protective properties, helping to reduce UV-induced damage. More specifically, participants were able to withstand double the amount of UVB rays before their skin started to redden. Just be sure to choose your chocolate wisely—always look for dark varieties that have a high percentage (70 or more) of cocoa. What are we looking for here? Probiotics, of course! You’ve probably heard these nutrients are good for the gut, and help ease digestion, but they are capable of much more. As they help to stabilize the microbiome in the gut (good-to-bad bacteria balance), it turns out they may help improve the skin’s condition, as well. Studies have found that patients with mild acne who consumed more probiotics experienced improvements. Researchers think this is because probiotics help reduce inflammation throughout the body. Recent studies have even hinted at the ability of probiotics to slow down the appearance of aging. Animal research, for example, indicated that supplementing with probiotics significantly suppressed changes in water loss, skin hydration, and skin thickening in response to UVB radiation, and also reduced skin damage. What anti-aging snacks do you enjoy? Share with us below. PubMed – Skin wrinkling: can food make a difference? PubMed – Dietary nutrient intakes and skin-aging appearance among middle-aged American women. Dermatology Times – Probiotics for healthy skin. A side of kefir with your kombucha? My anti-aging, healthy go to snacks are blackberries, blueberries, guacamole (yum), Kite Hill Yogurt Vanilla Flavor (best yogurt for us lactose intolerant individuals and I’ve tried them all), green tea brewed in the sun, red peppers with hummus, and tuna salad made with Sir Kensington’s mayo, capers and giardinera relish.